In Rhode Island, you need to apply for your driver's license through the Division of Motor Vehicles (DMV). 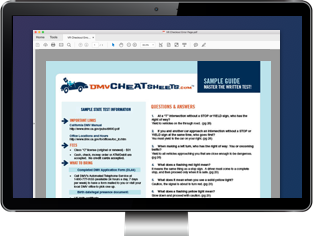 Whether this is your very first driver's license, or you're transferring your out-of-state card, this page has all the information you need to get on the road. If you're a new resident of Rhode Island, you have 30 days to get a new driver's license issued by the state DMV. To apply, you'll need to visit your local RI DMV office in person. A completed Application for License, Identification Card and Permits (Form LI-1). Your valid out-of-state driver's license or driving record from issuing state if the license is not available. Proof of your RI address, proof of Social Security number, and identity (see application form for full list of accepted documents). Payment for the $43.50 driver's license fee. Your out-of-state driver's license has been expired for more than 1 year. You've never been issued a driver's license from anywhere in the first place. You are transferring a driver's license issued by another country. Follow the steps outlined in “	Apply for a RI Driver's License" below. NOTE: If you're younger than 18 years old, follow the instructions on our Applying for a New License (Teen Drivers) page. If you are over 18 years old and have never been issued a RI license or your license has been expired over 5 years, you will have to apply for an instruction permit. Documents proving you identity, Social Security number (SSN), and RI residency. See the application form for a complete list of accepted documents. Payment for the $6.50 fee. While at the office, you'll need to pass the computerized knowledge exam. Once you have obtained your instruction permit, you'll need to pass a road test before you can get your RI driver's license. The DMV suggests studying the Rhode Island Driver Manual to help you prepare for the knowledge exam. In order to ensure passing on your first attempt, we suggest preparing with a comprehensive online practice test from our certified partner. NOTE: If you have a RI driver's license that has been expired for more than 5 years, you'll need to apply for an instruction permit. You will not be able to simply renew your expired license. In Rhode Island, there are different driver's licenses you can apply for, depending on your situation. The most common is your regular driver's license, and the first step in obtaining one is applying for a RI instruction permit (see “Apply for a RI Driver's License" above). If you are an active-duty military member, you may find some helpful information on our Drivers in the Military page. Apply for an original, renewal, OR duplicate learner's permit, driver's license, motorcycle license, OR identification card with the Rhode Island DMV.